මිනිස් ජීවිතය ඉතා කෙටි ආයුෂයක් ඇති වර්ෂ ගණනකට සිමා වූවකි. මේ කෙටි ආයු කාලයෙන් ද ළදරු කාලය, ළමා කාළය මෙන්ම අවසානයේ කිසිවක් කර කියා ගත නොහැකි මහලූ කාලය ද අත්හැර දැමූ විට ඉතිරි වන්නේ වසර කිහිපයක් පමණි. මේ සීමිත ජීව කාලය රටක් හැදීමට, සමාජයක් හැදීමට, අනුන් හැදීමට තම වටිනා කාලය අපතේ යැවීම තමා තමාටම කර ගන්නා මහා අපරාධයකි. ලෝකය හැදීම කවම කවදාවත් කිසිම කෙනෙකුට කළ නොහැකි දෙයකි. කළ හැකි එකම දේ තමා තමාම හැදීම පමණි. 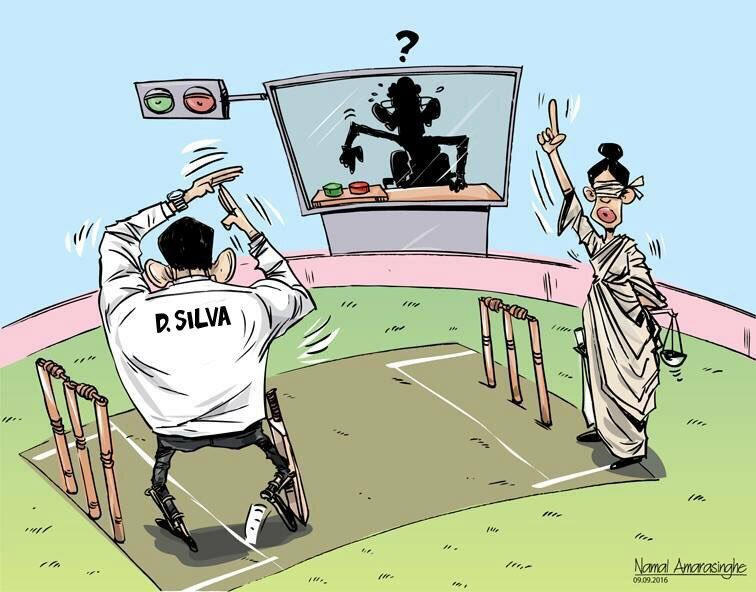 තමන් හොඳ වුවොත්, තමන් හැදුනොත්, ලෝකය හදන්නට අවශ්‍ය නොවේ. ඒ ආදර්ශයට ගෙන ඒ මඟ ගොස් හැදෙන අයට හැදෙන්නට ආදර්ශවත් වීම, කළ හැකි හොඳම ක‍්‍රියාවයි. නමුත් තමන් උපන් මවු බිම, එහි ආර්ථිකය​, සංස්කෘතිය විනාස වන්නේ නම් එයට එරෙහිව වචනයෙන්, ලේඛනයෙන්, ක්‍රියාවෙන්, අවි බලයෙන් ක්‍රියා කිරීමට රට වැසියාට පරම අයිතියක් හා වගකීමක් ඇත​. @Chinwi wrote: නමුත් තමන් උපන් මවු බිම, එහි ආර්ථිකය​, සංස්කෘතිය විනාස වන්නේ නම් එයට එරෙහිව වචනයෙන්, ලේඛනයෙන්, ක්‍රියාවෙන්, අවි බලයෙන් ක්‍රියා කිරීමට රට වැසියාට පරම අයිතියක් හා වගකීමක් ඇත​. Meaningful picture.I looks Justice righthand side,Alibaba and 40thieves lefthand side.Robbers and looters wants to escape showing bond issue. Bond issue is a simple one according to LTTE agent..Agents location says north america..is it canada? WheChinwi wrote: නමුත් තමන් උපන් මවු බිම, එහි ආර්ථිකය​, සංස්කෘතිය විනාස වන්නේ නම් එයට එරෙහිව වචනයෙන්, ලේඛනයෙන්, ක්‍රියාවෙන්, අවි බලයෙන් ක්‍රියා කිරීමට රට වැසියාට පරම අයිතියක් හා වගකීමක් ඇත​. Very much true. Only sad thing is when it come to public, they check who have connection to the action before say its right or wrong. If its from the party they are, they not saying much against. If it's from other party, they will scream even if its a good thing. Till our public see things clearly , every action on it's merit, not through party politics , we will have a long way to go. "We must, speck out , write about, built force against every wrongdoing regardless of who is doing that.Same way, we should be honest enough to give credits to good things whoever doing that. " @TARGET wrote: Bond issue is a simple one according to LTTE agent..Agents location says north america..is it canada? Your Alibaba and his family have Billion worth of properties all over the world.It should be confiscated and given to poor people. Then what about your alihora and gang? If you think the law in this country is worse you can join Police ,can you make a change?????? If you think president is not capable to run the country you can run for presidency yet can you make a change?????? There are hidden higher gang control every decision and plan on this world..... Lets say you give a snack to a beggar to help. After few hours he get hungry again. Can you provide 3 meals till he die?????? (Lanka-e-News -26.Oct.2016, 10.30PM - second edition 11.30PM) The body of a youth who died under most suspicious circumstances was discovered from the Hokandara home of Wimal Weerawansa this noon. This youth about 24 years old Lahiru Janith is a distant relative and a friend of Weerawansa’s son Vibuthi . He is a resident in the vicinity of Weerawansa’s house. He had also now and then been driving the car of Sashi Weerawansa as her driver. Yesterday night Vibuthi and four of his friends have thrown a party , and Lahiru too has attended it. All of them had consumed liquor. Lahiru has spent the whole night at Weerawansa’s house. The same night there had been a noisy quarrel in Weerawansa’s house which had disturbed the neighborhood so much so that the neighbors complained they could not sleep owing to the fracas. The following day , Sashi Weerawansa at about 9.00-10.00 a.m had phoned Lahiru’s parents and informed that Lahiru is asleep , and he cannot be woken. Thereafter . Lahiru’s parents have gone to Weerawansa’s house , and taken Lahiru to Jayawardenapura hospital . The youth had already died a long time ago , and his body was turning blue while the youth was being taken to hospital . A Hospital spokesman told Lanka e news that there was blood oozing out from the deceased ‘s mouth , and some one has wiped away the blood . There were injuries on the right side of the neck . There were also tell tale signs of assault with blue patches on the left rear side near the forehead , and on both sides of the stomach of the deceased . In any event, the death of the youth is surrounded by grave suspicions. A medical examination is to be performed on the body tomorrow. No one had been arrested so far , but two lawyers have arrived and were seen impeding the investigations . The distant relative of Weerawansa who arrived at the police stated , the deceased was having a hole in the heart . Meanwhile , the police summoned Weerawansa’s wife Sashi , son Vibukthi and the servant woman in the house and are being questioned . 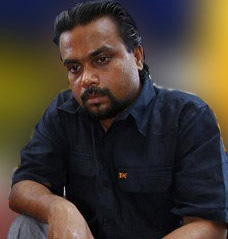 Though Weerawansa has been in the house yesterday night based on information received , he had not been questioned yet. A neighbor said , there was a love affair between Weerawansa’s very young daughter Vimasha Vishwadari and the deceased , and that was the background to the attack launched on the deceased by the inmates of the house. Will it be the same story???????
" Every thing happen for a reason and you need to accept it......... ". I believe in Karma . " what you saw is what you reap ". but i also NOW coming to believe that the Almighty Creator also has granted some prominent individuals in this earth, some "exceptions" to this rule. look at SWRD and his family, Tony Blair and family, George Bush and family. the above individuals and their family go from strength to strength comparing to the tremendous dist ructions they made to the future generations of this country and the world. 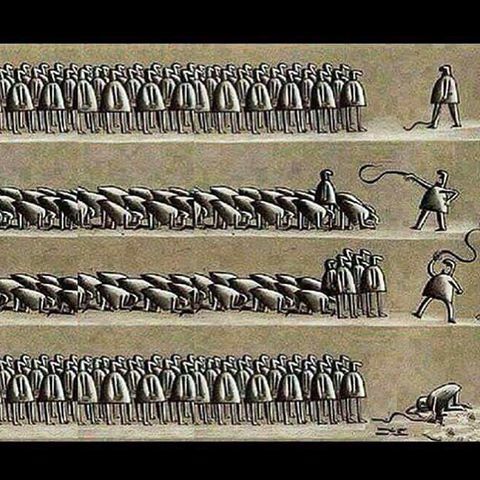 is this the world order ???. could some one explain or any one agree with me ??? I don't go deeper into Bush or Blair families but I can say dist ruction done by SWaRD family goes beyond the day we usually know. They were not wealthy people with 100s of acreas of plantation lands. Their great Grandfather was a person came from British South India and worked in Nawagamuwa Devalaya. His grand child worked and earned from Dutch and then joined Kings of Kandy to attack Dutch. Next person in this family line worked for British as an agent to grab acres of lands of local people . He secured acres of lands for himself in the process. He did the biggest betrayal for this country when British found difficulties to control the 1818 rebellion lead by Hon. Keppetipola . He supplied 100s of bullock carts and men to British army to secure supply line to war front in difficult terrains to kill tens of thousands of locals in Wellassa. British grabbed nearly 200 acres of fertile lands from innocent people in Siyane Korale by force and offered to him as a reward. Don Solomon Dias Bandaranayake became Mudaliyar of Siyane Korale . Just three generations later local people who lost their entire wealth and lifestyle because of this family voted to same family , put them in to power and they continued - are continuing- the destruction in this country as you said.